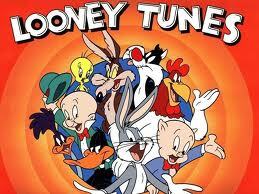 I admit it - from the time I was very young I have always loved cartoons, newspaper comics, claymation and animation. From Hanna Barbara to Scooby Doo to Disney, I've watched it all. Add in the Muppets and I was in junky heaven. As a teenager I tried to be grown-up and walk away from the genre, but still started each morning reading the daily newspaper comics to fill the void. By the time I was out of university I gave up the charade and began to scratch that itch. I even had a roommate that used to join me on Saturday mornings to watch the Tarzan cartoon on TV - we both commented on his buff body - and we laughed our way through Scooby Doo's antics together. I think the whole genre is a guilty pleasure for many adults. The boss at one company I worked for arranged a film party at his home. He had an antique gold movie projector and a pile of very old 16mm cartoons to show on it. The house was packed and everyone was enthralled. Even now, every time I am in the theatre for the latest release, I look around. There are many of us slunk down in our seats with no young ones in tow. 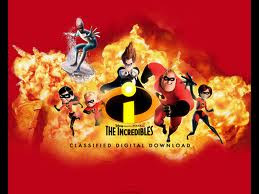 Fortunately the film industry is beginning to realize there is a market for this type of film with a more adult focus. For me it's about letting my imagination run wild. I can look around everyday and see reality. I want illusion, something I can't get on a daily basis. One of the BEST parts of having kids was the excuse to take them to every movie I wanted to see under the guise that I had to take them. The Muppets had two great movies I still love - Muppets Treasure Isle and Muppets Christmas Carol - in fact I think I'm going to pull out the old VHS and have the family rewatch the second one to get us in the holiday spirit. We sat through all the Disney offerings as well - I can still sing most of Kiss the Girl from The Little Mermaid - and rented anything from the past I thought the kids would like. In looking back over all the older offerings one still stands out. 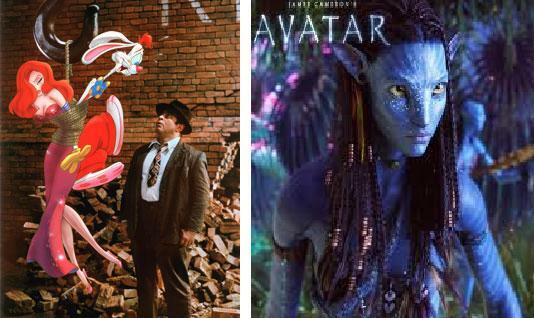 What animated movie can ever top Who Framed Roger Rabbit? All three kids learned when very young to pick up the newspaper every morning to peruse the comics and two of the three still do to this day. My oldest son and his father expect a Dilbert desktop calendar in their stockings every year that they place on their desk as work. Supper discussion can turn to what the daily offering was if exceptional. 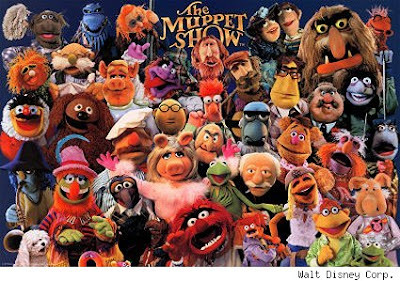 I am considering buying the old Muppets TV series so I can re-watch them. Hopefully the kids will want to make it a family night as they were too young to see most of the episodes when they were on TV. While I still love all the old cartoons and animation, in recent years the genre has come into it's own as an art form. 3D IMAX can be credited with adding a great deal to the viewing experience for us addicts. Avatar in particular floored me. For all the criticism it received for plot, I don't think anyone who saw it in 3D IMAX could not be astounded by the level and maturity of the animation. I also loved the story lines and humour in Wall-E and Despicable Me. Just a few favourites from the last couple of years include Avatar, Wall-E, Despicable Me, Ratatouille, Up, The Incredibles, Finding Nemo and Horton Hears a Who. I have seen these and more - most with my adult children. Yup, it's now a family addiction. What we love is the chance to stretch our imagination and, more than anything else, laugh! So take a step back to your childhood, relax and enjoy. Get up every morning and peruse the daily comics. 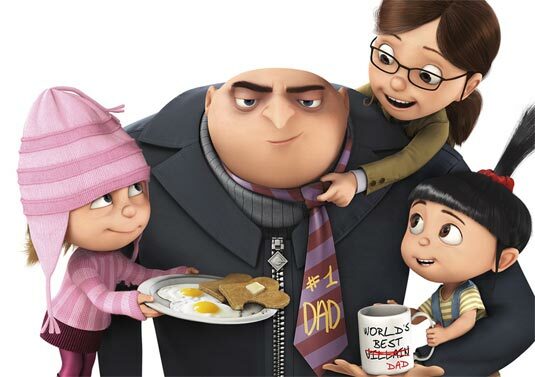 Quit feeling guilty about going to see what the industry continues to label as family movies. I have one on my list that has been out for awhile and I haven't seen yet - Megamind. I'm still hoping it's showing somewhere in 3D as the experience is so much better. And think about a animation party. Bring out some of those old favourites, have a few friends over, some nice food and a few choice drinks. It can only mean an evening of laughter which is always welcome.